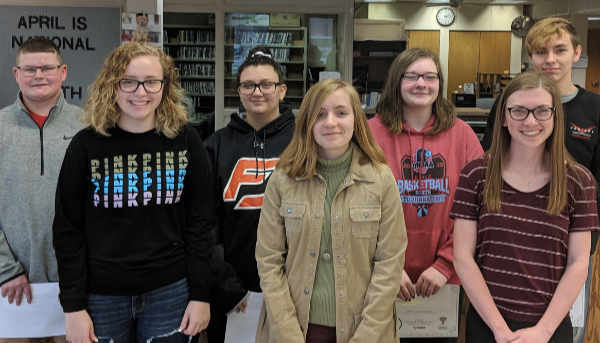 Winners in the Junior High division were, front from left, Madyson Teman (DJ), Briley Searer (FJ) and Hannah Wiltsie (DJ); and back, Madison Ricker (FJ), Christina Hubert (FJ), Abbi Hageman (DJ) and Rachel Ryan (DJ). 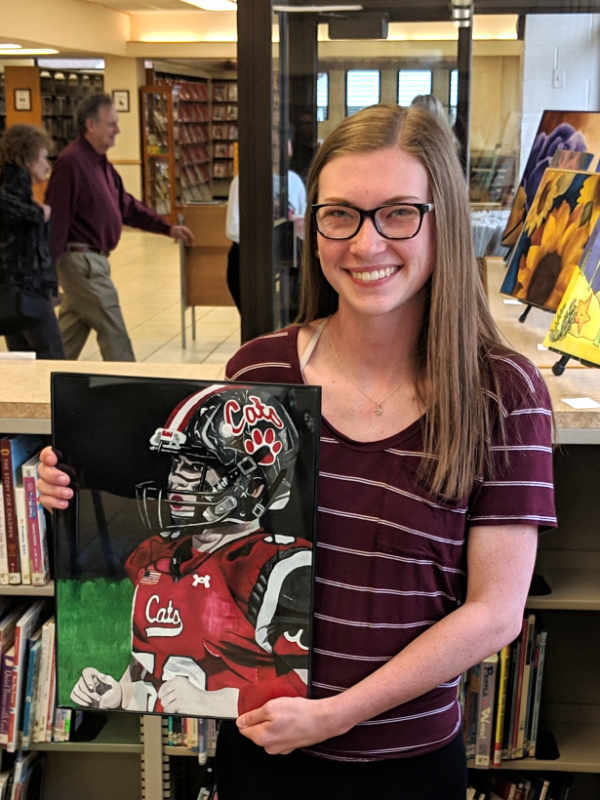 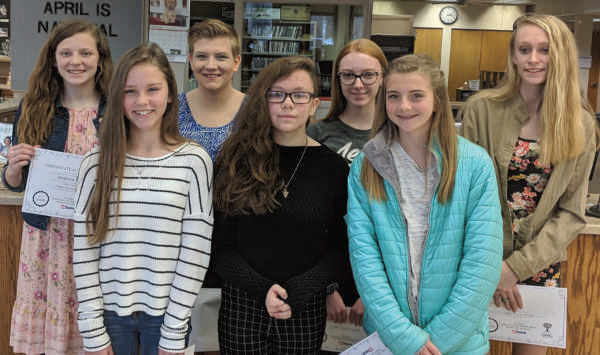 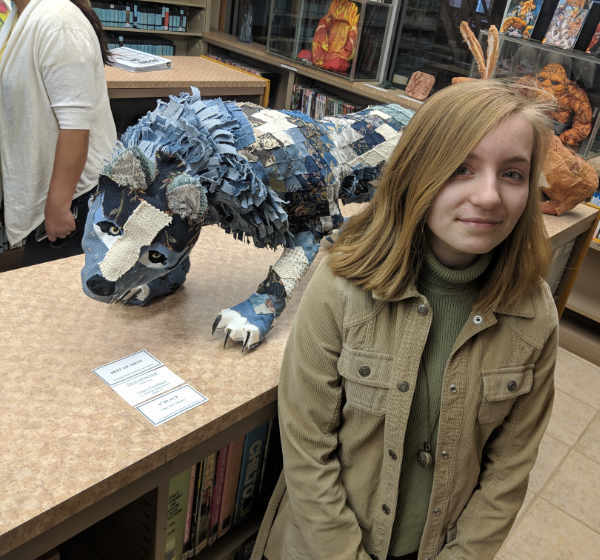 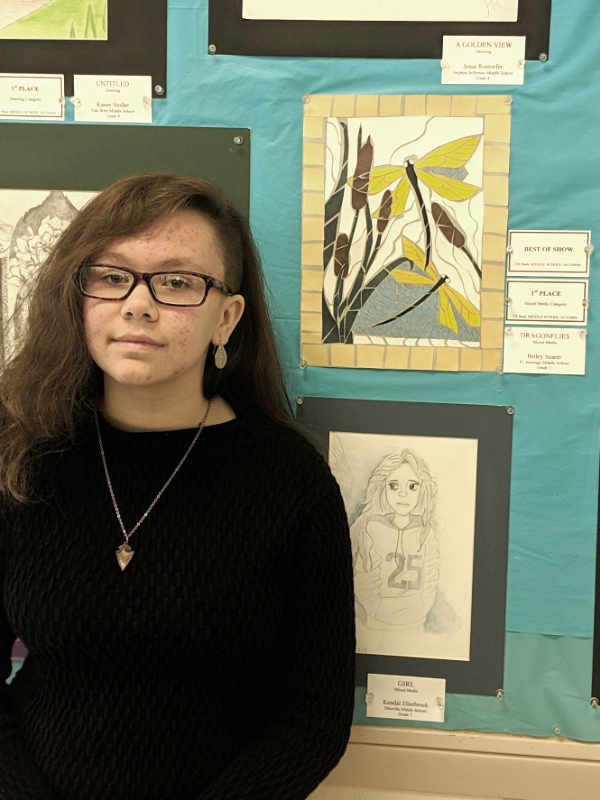 DELPHOS — The US Bank, in conjunction with the Delphos Public Library and Delphos Area Art Guild, held its annual Art Show awards Sunday at the library. 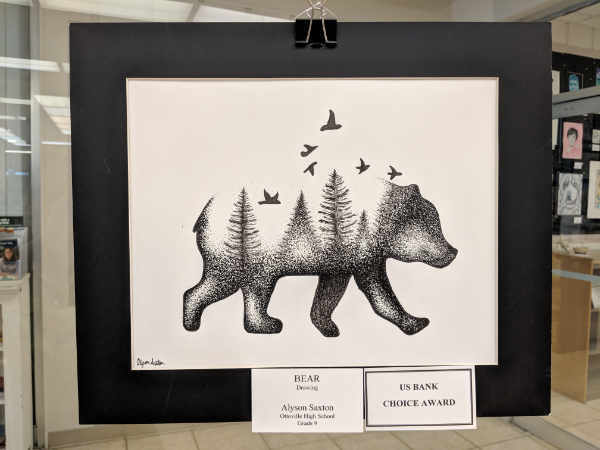 There were 114 pieces submitted by local and area high school and junior high school art students.